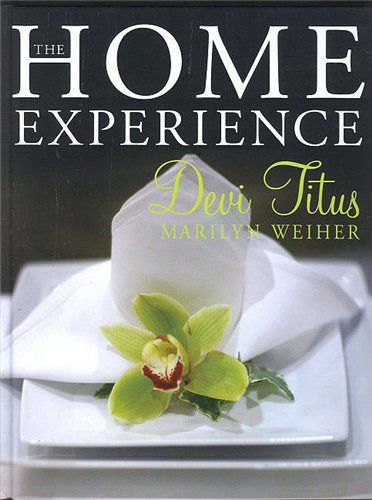 We recently started a bible study for the women in our office called “The Home Experience” by Devi Titus. We are learning so much about how to invite love, joy and peace into our homes. We are also learning about simple things we can do to change the atmosphere of our homes. It is the seemingly small things that add joy and love to our lives. In Chapter 2 of our study, Devi introduces the “Also Principle”. The “Also Principle” is defined by a willing attitude to do more than is asked of you. This attitude positions you to be sensitive to the needs of others and to be willing to go the extra mile- not one mile or two miles but whatever it takes. Everyone comes home after doing something that has consumed the best energy of his or her day. Most Moms and Dads arrive home from work, and the children come home from school. Everyone is tired, but dinner must be prepared, homework completed, and chores accomplished. Jesus clearly teaches that after we have done our work, we are still to serve one another. When you set the table, light the candle also. When you wash and dry your laundry, fold it also. When you take a bath or a shower, leave the tub clean also. Remove lingering hair with a damp tissue also. When you use the toilet, put down the lid also. When you undress, hang your clothing also. Devi concludes that implementing the use of the “Also Principle” will build your character in such a way that you become a do-more person rather than a do-less person. A do-more attitude will grow your faith, turn your provision into prosperity, propel you to live in obedience, and cause you to crave having an intimate relationship with God.